Jigsaw puzzles are seeing a resurgence in popularity today, as many people are seeking a break from the information overload that surrounds us. Besides being very entertaining, puzzling is good for one’s mind, spirit and body. It’s a great meditation tool and stress reliever, it improves one’s mood and short-term memory and improves problem-solving skills. According to a recent study published in the Archives of Neurology, puzzling stimulates the brain and helps ward off the plaque that creates Alzheimer’s. Charlene Brower has always enjoyed solving crossword puzzles and the others featured in newspapers. Four years ago, she was looking at a catalog and some jigsaw puzzles caught her eye. But Brower didn’t stop there. All of those gorgeous scenes by Thomas Kinkade couldn’t be dumped back into the box, so she decided to frame them. And then, they went down the stairs and up on the family-room walls. Today, Brower has brightened more basement rooms, with beautiful scenes of all types—displaying nearly 60 puzzles—many reflecting treasured pieces of art work. Along with reading, Brower said that puzzling is one of her favorite pastimes and she has a special area in her home for her hobby. Brower’s puzzle table is a large, wooden surface, that accommodates all puzzle sizes, with four drawers underneath it that slide in and out. Upon beginning a puzzle, Brower gets the outside border pieces together first and then sorts the other pieces by shapes and places them into the shallow drawers. Brower says the puzzle table comes in very handy at the end of the day. “When I’m done, I just slide the drawers inside the table and the clutter is gone,” she said. When the puzzle is finished, it can be slid onto the backing material, very easily, to be framed. Brower’s puzzles fit together tightly, eliminating the need for glue. Brower’s favorite puzzles feature those picturesque scenes of artists Terry Redlin and Thomas Kinkade, with their earthy colors, blazing sunrises and sunsets and nostalgic themes that capture the beauty of America’s rural past. Kinkade hoped his work would inspire others to slow down, appreciate the little details of life and to look for the beauty in the world around us. Redlin felt fortunate he was able to preserve those memories. 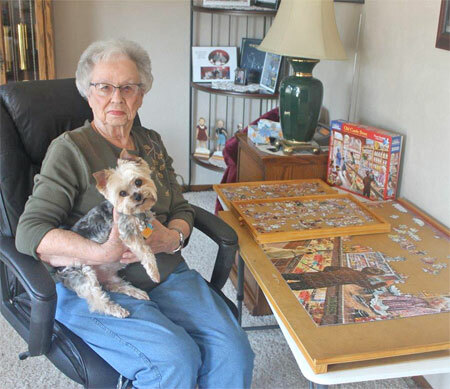 She doesn’t consider herself a “die-hard” collector, but enjoys getting puzzles for Christmas and throughout the year from her daughter-in-law. 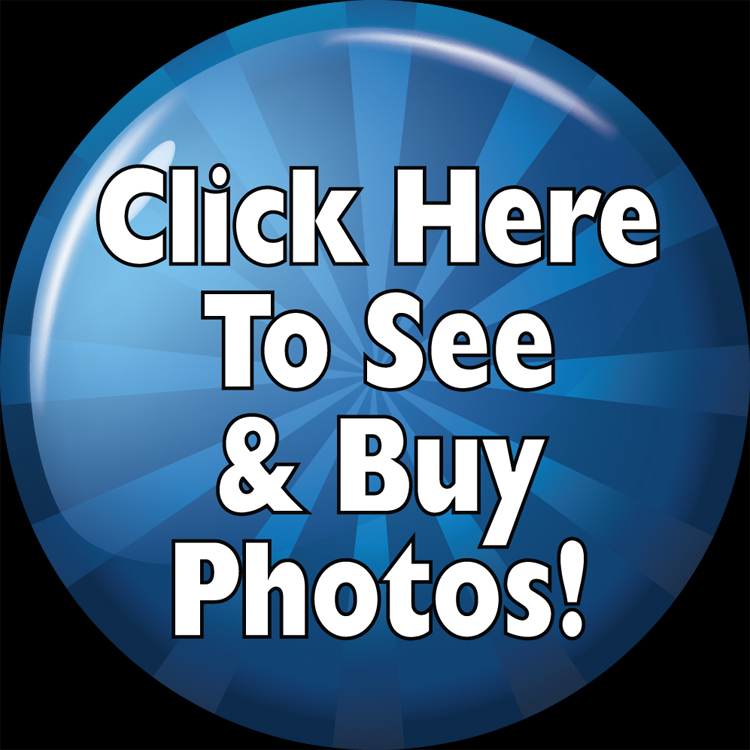 Besides the Redlin and Kinkade scenes, Brower has a wide variety of framed puzzles in her basement that include: sports, holiday, animal, historical, cartoon, movie stars, metallic scenes and more. Brower owns a collectible puzzle entitled “Just Imagine – East Meets West” by Milton Bradley from 1985. It depicts a vision of New York City (east) meeting San Francisco (west) with an ocean between the two cities and the Golden Gate Bridge in the background. Of particular interest, is that it features the Twin Towers of New York City that are no longer with us. And the other exciting feature is the fact that It’s sealed in the original box. Brower truly enjoys her hobby. Today, there are many new ideas in puzzling: 3-D puzzles with different levels of difficulty, glow-in-the-dark and metallic ones and laser-cut wood pieces to assemble. The firm “Puzzle Warehouse” in St. Louis, Missouri offers thousands of puzzles from four to 33,600 pieces—something for every age and skill level. They also promote a puzzle of the month club and a puzzle rewards program that awards points for purchases. The first puzzle was created in 1767, by John Spilsbury, a European engraver and mapmaker, who glued a map of England onto a mahogany board and, using a saw, cut it into pieces. The largest puzzle, by Educa, entitled “Around the World” contains 42,000 pieces and measures 24.57 by 5.15 feet.